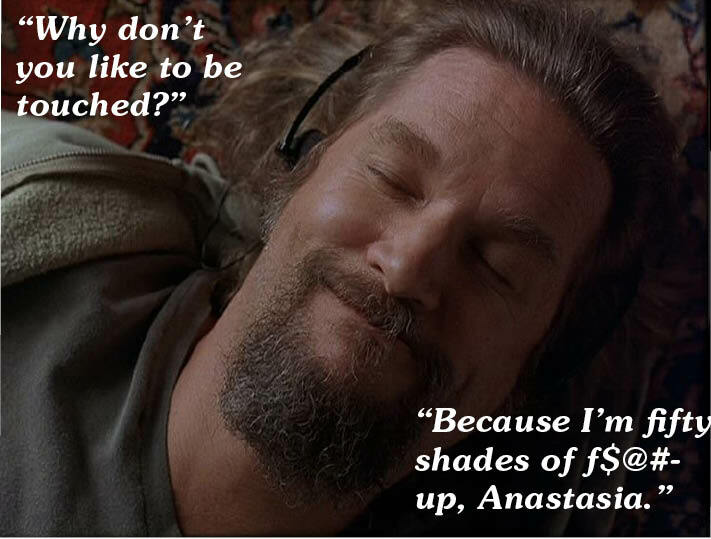 Incidentally, The Dude's expression of relaxed amusement is very similar to my own as I read that travesty of a book. Happy Hump Day! I must have missed what on earth prompted you to read 50 shades... is it actually amusing? 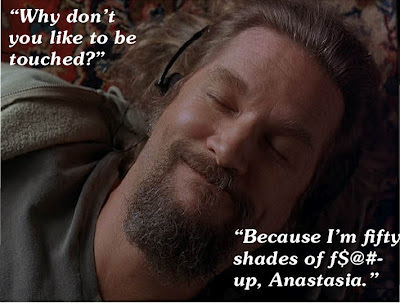 Wondering about what would happen if the dude would listened to 50 shades? But anyway im sure this would be very fun?Isn't it?Just like reading any fiction novels. Well, at least you had The Dude to fall back on! Oh my goodness! I just read the 50 Shades entertainment on Book Riot! HILARIOUS! I JUST posted my review for the horrid series on my blog last night actually.